Highly reliable and durable Tungsten Airborne Antennas are designed for excellent performance aircraft applications. 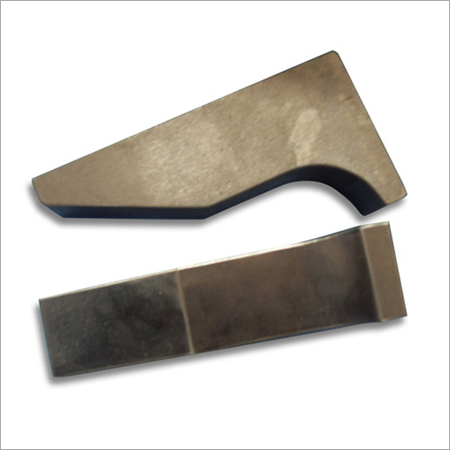 These are available in varied sizes, density, hardness, frequency range and other specific requirements. During the initial days, tungsten alloy armor piercing was used to defeat thick armors that are carried on many warships. But today, it is required for anti-tank missions . Our provided Armor Piercing are made up of finest grade tungsten alloy which make them capable to withstand the shock of punching releases through armor plating. Heavy hardened armored targets such as tanks, armored vehicles, concrete bunkers and other defenses can be easily penetrated by this ammunition. Designed with utmost precision under the expert's supervision, the perpetrators are carefully made by tungsten carbide, hardened steel and depleted uranium which is enclosed with a softer aluminium or copper made jacket. The main characteristics of our tungsten alloy made perpetrators are long hitting distance ability, good accuracy and high velocity. These perpetrators are widely used in self-propelled guns, armored vehicles, mutilate tanks, ships, air crafts etc.